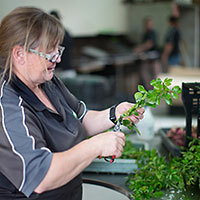 Today there are many opportunities to have a very successful and rewarding career in horticulture. The industry covers a wide range of sectors from floristry and amenity horticulture (looking after parks and reserves) to viticulture (vineyards), forestry and of course production nurseries like Growing Spectrum. 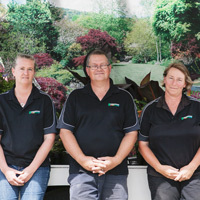 If you are interested in a career in production nurseries, the award-winning team at Growing Spectrum may be the perfect opporunity for you. We have a sizeable staff - usually about 35 in full time positions - and there are plenty of different positions within the company in our range of varied departments. In this department the young plants are grown from seed, cuttings and tissue culture. Over 500,000 per year are produced on site. They are nurtured here until they are ready for potting. Dexterity and accuracy are key requirements in this department. 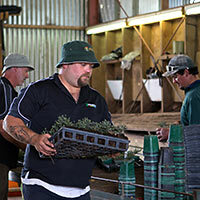 The young plants are handed over to this team to pot and maintain them. Staking, trimming and fertilizing, to produce a quality plant ready for sale. This is where the hard physical work is done so staff need to be very physically fit and happy to work in all weather conditions. This team collect up the plants, on four wheel quad bikes, for the orders that are coming into the nursery every day. They prepare the plants for sale by washing the pots and putting the labels on to the plants and loading them onto trollies ready for the truck drivers to load for delivery. It is very important to be able to work fast with high standards and accuracy in this area. We have two sales reps on the road each week. 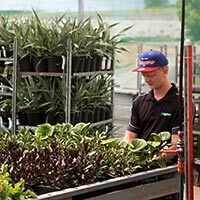 They visit all our garden centre customers, showing them samples of the plants that we grow and send the orders back for processing by the Sales Manager in the office. You need to know your plants to work here, they answer all the tricky questions about what we sell and how they grow. There’s always an office team backing up the other teams in the nursery! They do the non-labouring tasks to keep the nursery running. Usually staff are promoted into administrative positions after gaining experience in other departments in the nursery. 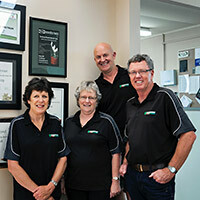 We offer ‘on the job’ training in the nursery and have our own training facility and teacher, Carol Fraser, who takes staff through their level 2,3 & 4 of NZQA Horticulture qualifications. When positions come available due to promotions or from staff leaving to move onto other opportunities we usually advertise these positions in our local Waikato papers and on the internet, typically using Trade Me. If you are interested in a career at Growing Spectrum Ltd feel free to send through your CV for us to have a look at. If there are no suitable jobs available we will hold your CV until something comes up. PO Box 29 Kihikihi 3800, Waikato.